In our last lesson (click here), in our look at Apple Motion 5, we wrapped up our look at animating our text along paths in Motion. In this lesson, I want to talk about a very interesting little “trick” that you need to know, to get the most out of working with Photoshop files in Motion 5. Most people think, that like regular elements or still images, you can simply drag Photoshop files into Motion 5, and have access to all the layer information, much like it was in Photoshop. That’s not the case. If you take a PSD file, and drag and drop into Motion 5, it will import it, much like any other flat element. So, what’s the trick? Well, it’s all in how you drag and drop it into your project that is important. 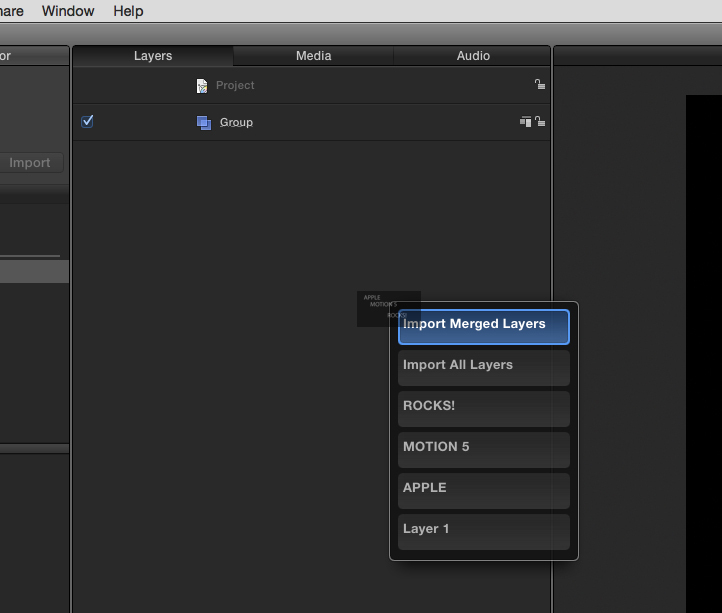 As you can see, you can now choose whether you want the layered file, all the layers, or a specific layer to work with, and animate in your timeline. Be sure to check out our growing list of Apple Motion 5 – 101 tutorials here. You can pick up Motion 5 [iTunes link] and Compressor 4 [iTunes link], only $49 each. 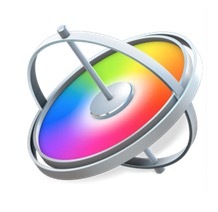 Also, be sure to check out Final Cut Pro X here [iTunes link], it’s only $299, and there’s a free 30-day trial.